Drunk or high – don’t drive! 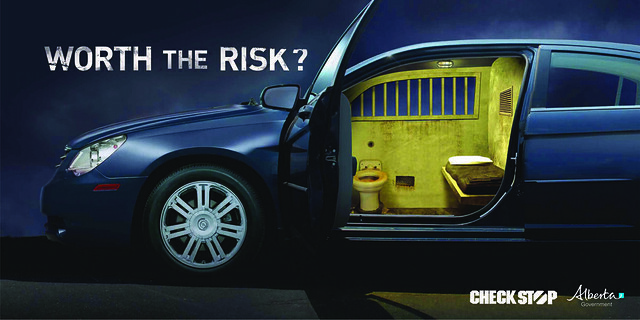 Driving impaired – drunk or high – can cost your licence, your money, your health or someone’s life. Driving while impaired by alcohol or drugs carries serious consequences. The Traffic Injury Research Foundation determined that, in 2013, of Alberta drivers killed in collisions, more than one in four was over the legal limit for alcohol, and one in two had used drugs. Impaired driving comes in many forms – alcohol, drugs (including over-the-counter, prescription and illegal), distraction and fatigue. On average each year over the past five years, there were 7,550 Criminal Code convictions for impaired driving in Alberta. Drug-impaired driving, including cannabis-impaired driving, has been a crime since the 1920s and is detected and prosecuted regularly in Alberta. Drivers convicted of an impaired driving offence have to install an ignition interlock device. The Canadian Centre on Substance Use and Addiction found that cannabis creates performance deficits in many skills required to drive safely, such as tracking, reaction time, visual function, concentration, short-term memory and divided attention. Simulated and on-road studies of driving performance found using cannabis increased a driver’s likelihood of swerving, as well as showed an inability to maintain a safe distance and difficulty controlling speed.